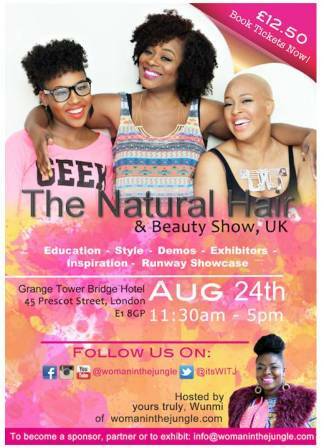 UK Naturalista Wunmi of Woman in the Jungle recently announced a new event, The Natural Hair and Beauty Show, UK, which is not to be confused with another event of a similar name *innocent face*. This will take place over the Bank Holiday weekend on Saturday 24th August 2013. 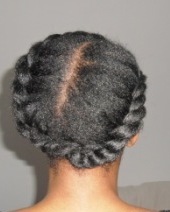 I’m extremely excited about this because I’m always looking for my next natural-hair-meetup-fix! This time last year I was asking myself ‘where are all the UK Natural Hair events?’. I wait for one event then three come along all it at once! But this shows that there is clearly a growing demand for natural hair care information and that UK women with Afro-textured hair are making happen for themselves.